There are lots of ways to make the most of your Glen Ivy experience. Are you celebrating a special occasion? Do you want to give a gift? Or simply get more out of your day with one of our packages? Make sure to check out our promotions and activities too. 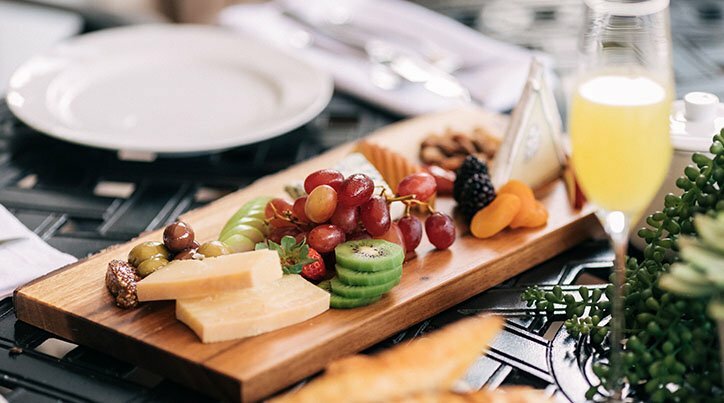 Whatever the season, there’s always something going on at Glen Ivy. The perfect day at Glen Ivy. The ultimate trip to relaxation. 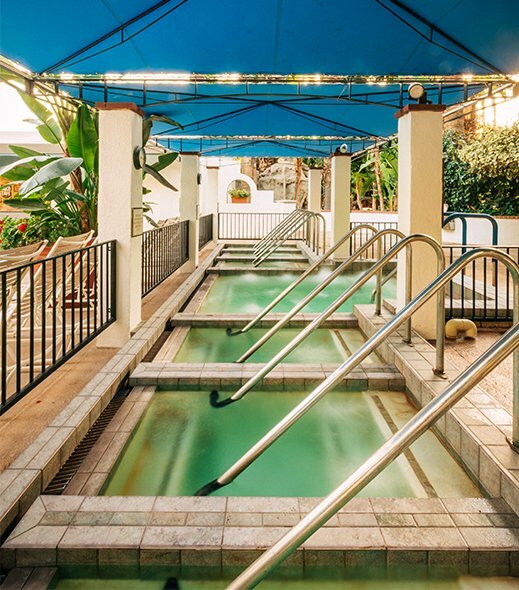 Whatever your reason for visiting – be it relaxation or celebration – the healing waters and lush landscape of Glen Ivy guarantees you’ll have a happy and healthy day out. Plus there’s so much more ……. A full day to relax and unwind in our beautiful gardens and 19 different pools, including our mineral spring pools. Plenty of loungers in sunny and shady areas throughout the resort. To reserve your lounge chairs or a private cabana in advance, please click here. Use of our steam rooms and two outdoor saunas. Club Mud, outdoor mud therapy. Full changing, showering, locker room and vanity facilities in our Bath House. Choice of four bar and restaurant areas. Holiday rates apply to New Year’s Day, Valentine’s Day, Presidents’ Day, Memorial Day, 4th of July and Labor Day. We are closed on Thanksgiving and Christmas. Please note: On popular summer days, especially at weekends and holidays, we often reach capacity. Unfortunately, we are not always able to accommodate everyone. On these days, guests with pre-booked spa treatments are guaranteed admission. To avoid disappointment we encourage you to plan in advance. This way you’re also sure to have the best well-being experience. Which admission is right for me? Book this admission when you are getting a treatment for yourself. This is only available to guests who have a service booked (Massage, Facial, Nails). Book this admission when you are booking a Grotto, a Cabana or Ivy Terrace Reserved Seating for yourself. You may also book this admission for all of the members in your party if you are reserving a massage, facial or nail services, even if they are not receiving services. If you do not book any admission before arrival, you are not guaranteed entry. All “walk-in” guests will be charged the Regular Admission rate based on a first come, first serve basis. Once we have hit capacity, guests without reservations will be asked to visit Glen Ivy on another day. Celebrate in style and enjoy complimentary admission on your birthday with the purchase of a 50-minute or longer service on the same day. As the sun goes down, the vibe heats up at Glen Ivy. Celebrate warm summer nights with a hip and varied program of poolside entertainment under the stars. Glen Ivy is the perfect setting for a special occasion or reunion. We promise to make your day one to remember! You can even book your own VIP space at the resort complete with dedicated service in one of our many cabanas. Make your wellbeing a priority. Join the Glen Ivy community and visit us to relax, renew or celebrate whenever you feel like it. 8:00 am – 4:00 pm (Saturday – Sunday). A credit card is required to book. Please note that Glen Ivy welcomes guests age 16 and over. Spa treatments are available for guests age 18 and over. Guests under the age of 18 must be accompanied by a parent or legal guardian of the same gender. Please bring driver’s license or other proof of age if you are 16 years or older. The health and safety of our guests is our number one priority. Some spa treatments may not be suitable if you are experiencing certain health issues. Please discuss your concerns with our agents when you make your reservation. Please arrive at Glen Ivy at least an hour before your scheduled spa treatment. You’ll need time to settle in, stow your belongings in the Bath House and get to your treatment. Please check in for your treatment at least 15 minutes prior to your appointment. Glen Ivy is closed on Christmas Day and Thanksgiving Day.